Some cats don't mind to be groomed, while others run when they first see the cat brush. And not all kitties are as polite and patient as they could be when having their claws trimmed. But these necessary grooming tasks have to be performed periodically, whether your feline pal likes it or not. 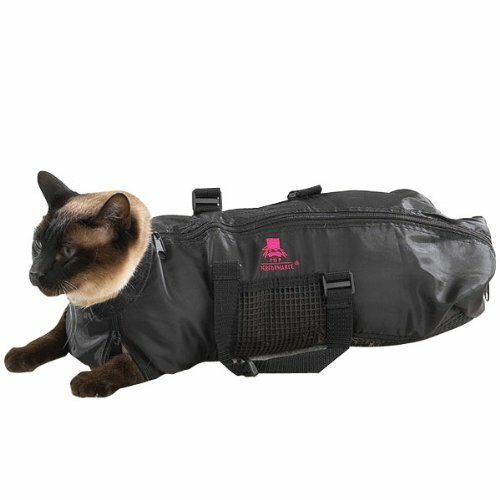 If grooming your pet is more scratchy nightmare than playful romp, consider getting a cat grooming bag like this one. 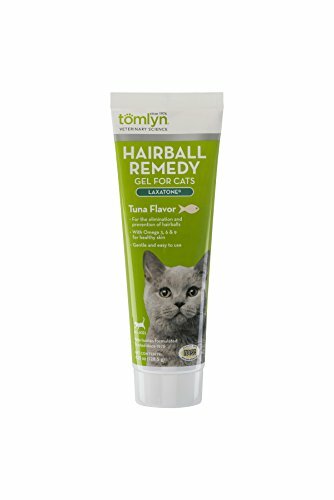 The grooming bag acts like a cat straightjacket, safely and securely controlling your cat's sharp-claw-weilding legs until you are ready to clip or brush. 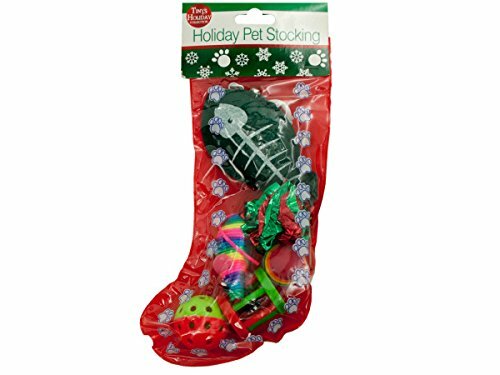 The bag is made of heavy-duty nylon with rubber mesh, so it can even be used in case your kitty needs to have that most dreaded event in any cat's life: a BATH. 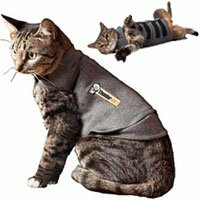 The bag secures over your cat with a zipper across the back and snug velcro at the neck for a good fit. Zippers at the front and rear of the bag allow targeted access to all four legs and paws individually, plus access to the tail / hindquarters if that area needs any grooming attention. The bag is available in two different sizes. Be sure to check out the customer reviews to see how great this bag has worked for other cat owners!